Home » Posts Tagged "Australian Christian Writing and Publishing"
I was in Townsville last weekend with Sandra and Peter at the Healing Shame seminar. On the Saturday the Holy Spirit led Sandra to invite women to repent for their mistreatment of men and this was responded too with a couple of ladies taking the pulpit and repenting and asking for forgiveness. Men were given the opportunity to respond and 4 did. I was one of them. I had only had opportunity to read your book on the Wednesday before I flew to Townsville on the Thursday afternoon. I devoured the first chapter and loved it. As I approached the pulpit on Saturday, your book in hand, I explained you had just not long ago published it and sent it to me. I felt the need to repent, as a minister of the Gospel, for the suffering placed on women from the pulpit through the misuse and misinterpretation of scripture and read a few portions of the book about the real meaning of being the head and the heart Paul was writing from when talking about submission and the true meaning of lifting one another up and being a covenant defender. 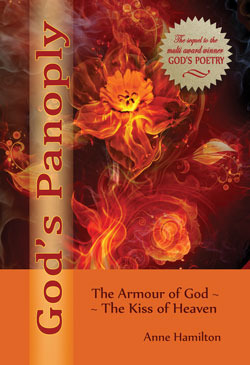 I’d been looking for the ideal cover for my latest book, God’s Panoply—The Armour of God and the Kiss of Heaven, for over a year. I’d narrowed my options slowly, wanting to make sure my choice and God’s choice coincided. Eventually I decided that the soft focus stock photograph of a mounted knight in armour that I’d been looking at for three months was the one. Imagine my horror when the day I got around to buying it (always a good option when trying to persuade my publisher) it had disappeared from the Dreamstime website. Not to worry. I’m sure I’d seen it on istockphoto, though a little more expensive. It was gone from there too! Wait! There were other stock photo sites where I’d seen the same shot. All gone! I was in shock. I’d been praying about the perfect cover for a year—and I felt like I’d been robbed. I looked at my secondary choices. None of them were anywhere near as good. He asked what the fourth word signified. At last! Something I actually knew. I stuck up my hand. The two-letter combination alef-tav in Genesis 1:1 is invariably untranslated. It occurs often throughout Scripture without any remark but nevertheless it has a profound meaning. 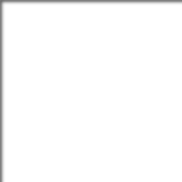 The word is comprised of the first letter of the Hebrew alphabet, alef, and the last, tav. It’s the equivalent to the Greek combination of alpha and omega. However, in Hebrew it’s more than ‘the first and the last’: alef-tav encompasses all 20 letters between these two and every combination of letter. In other words: every word that has ever existed or could possibly exist. That’s influenced my reviewing ever since. If you check out my reviews at Goodreads, you’ll find I often write a lot, simply to try to articulate my liking (or disliking) for a book. Nonetheless, my mother says it started earlier. I was relentless in my quest for answers as a toddler and would not be put off by half-hearted replies. Somewhere along the line, I learned that if you ask God seriously and are patient enough, He takes you seriously in turn and always gives answers.